Yesterday, Microsoft unveiled a new version of Windows called Windows 10 S. According to Microsoft, it's a lighter version of Windows built with simplicity in mind. It doesn't have all of the features of other versions of Windows, but it also doesn't cost as much. That means you'll be able to get a Windows PC at Chromebook prices, with laptops starting at just $189. Chromebooks are different from Windows PCs in that they run the ChromeOS, which is essentially the Chrome web browser and apps you can run within the browser. Some newer Chromebooks can also run Android apps. However, the Chromebook experience still doesn't feel like a traditional computer. Windows 10 S delivers a full Windows experience. So what exactly will you be missing by choosing Windows 10 S over other versions of Windows? With Windows 10 S, you'll only be able to download and install software from the Microsoft Store, including programs and other add-ons you use with your programs. While that could be limiting for some users — you won't find iTunes, Chrome or Firefox, to name a few — many people will find all of the programs they need in the store. You’ll find Microsoft Office, of course, as well as Adobe Reader, photo editing software, games (a limited selection) and much more. It's the same model you currently use for your smartphone, if you download apps only from the Apple App Store or Google Play. The theory is that by managing all software, including updates, through the Microsoft Store, Windows 10 S can better control your laptop’s resources and security. You also won't be able to change your default search provider from Microsoft's Bing. Though, of course, you'll be able to browse to google.com to use Google search. One benefit of having Windows 10 S manage your laptop's resources is better battery life. 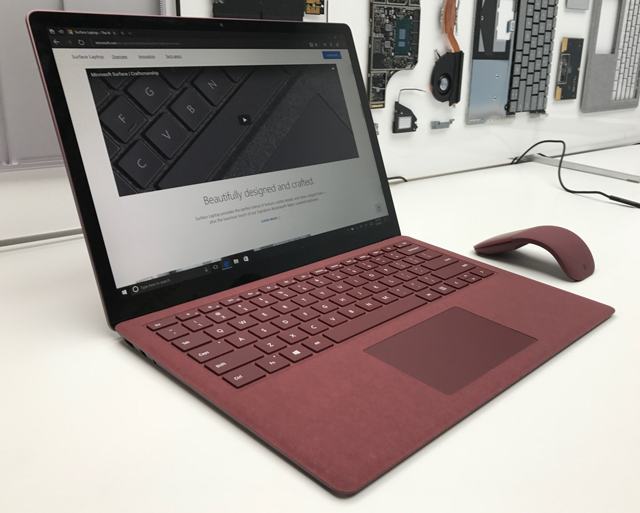 For instance, the new Windows Surface Laptop ($999 on Microsoft) will get an impressive 14.5 hours of battery life, high for a 13.5-inch touchscreen laptop that uses a Intel seventh-generation Core i5 (or higher) processor, weighs a mere 2.67 pounds, and measures 14.47 mm at its thickest. 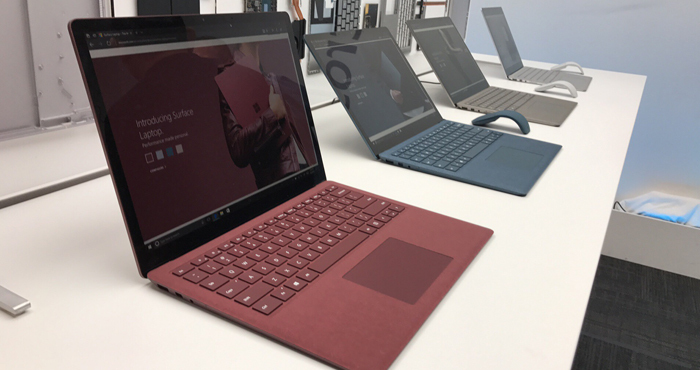 The Microsoft Surface Laptop comes with a beautiful water-repellent fabric finish. Since Windows 10 S is built on Windows 10 Pro, you'll get full disk encryption, something that some versions of the Home Edition of Windows 10 don’t currently offer. Finally, if you decide you want to run software that isn't in the Microsoft Store, you won't find yourself stuck once you've begun using Windows 10 S. You can easily switch to Windows 10 Pro. For the sub-$200 device models, you’ll have to pay a fee. For more expensive models, the switch will be free. Windows 10 S and Windows 10 S laptops will be available starting June 15, 2017.